This is the 4th Mr. Greenbergh's book I got from the Great Courses and the 1st one I dislike. The performance is not that good and the time spent on information he repeats on other books make this one unworthy for me. By the way... 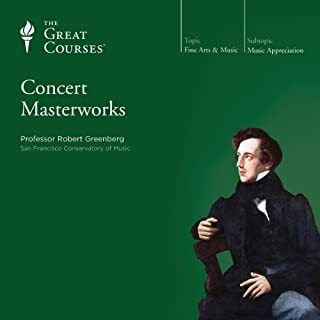 I truly recommend "How to listen to and Understand Great Music" as well as "The Concerto" and "The 30 greatest Orchestral Works".